The last couple of things he tried were, in my opinion, mixed with respect to quality. His first effort was not unique in any way conceivable so that failed miserably. He lacked the credibility, experience or gravitas to attract an audience in a crowded market. His second idea was actually pretty good, it was a services-based business that seemed to be getting some traction when he pulled the pin. The truth is that those kinds of businesses are really hard work and I don’t think he enjoyed it enough to commit to that kind of effort over the long haul, so I get why he quit. The idea he pivoted towards was dumb. It was just lazy, no market and his execution was sloppy, to say the least. I told him at the time that it was kind of like the “rebound” business after breaking up with his second attempt. The idea that he ran past me this morning just didn’t resonate. It just lacked what at the time I could only describe to him as, “substance”. It was all just superficial, it lacked any kind of financial model in the near term and I just didn’t understand why people would be interested in paying attention to him let alone giving him money. But I couldn’t QUITE place my finger on why I felt it was a bad idea. Later this morning as I got home from the soccer, I had another hot shower to warm up and settled in for a cup of coffee on the couch while breezing through my FB newsfeed. I noticed a person on Facebook talking about “putting themselves out there more” and how “their business” was going to be powered by the strength of their personality once they become more comfortable with that approach. Wrong answer for at least two reasons in this person’s case. First of all, if you’re an introvert, building a personality based business is a stupid idea – it will physically, mentally and emotionally drain you to the point of becoming crippling. You will end up not being able to pull it off and you’ll run out of gas – it’s better to play to your strengths. Secondly, this person is lovely but boring. They don’t really have a whole lot interesting to say and effectively they just parrot back stuff that other people say without much insight or depth. The fact that this individual is boring just compounds the problem. 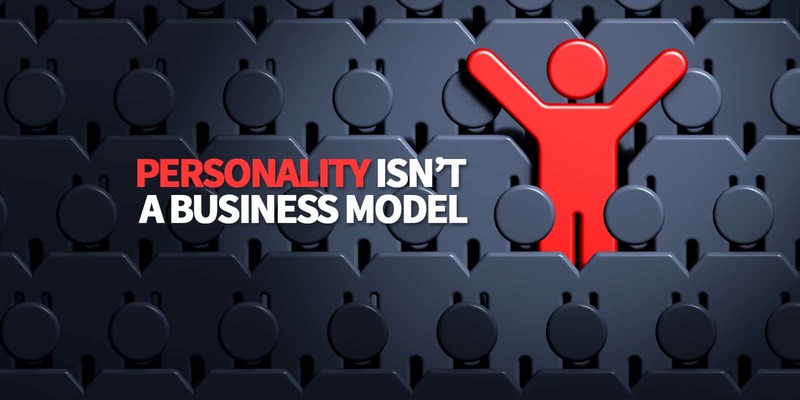 You can’t run a “personality based business” and be boring. You just can’t. Your mom or your wife thinking you’re interesting isn’t enough – you’re essentially saying that you’re going to attract your audience largely on the strength of being an interesting person and ideally quite entertaining. That’s a big giant problem for most people.Which leads me back to the person who contacted me this morning – great guy, very smart, bit lazy, but not very interesting. I know it’s maybe not super nice to say that about someone, but he’s not going to be able to captivate an audience and charm them into paying attention to what he’s saying. It’s not in his personality to be so engaging and entertaining that people are drawn to the magnetism of his personality. And that was the problem that I couldn’t put my finger on. He wanted to establish a business where he was front and centre, the main attraction under the big top that pulled the crowd. But he wasn’t a lion tamer or a fire eater, he’s better suited to being the booking agent for the circus rather than the star of the show. And there’s nothing wrong with that. Some people are natural entertainers and other people just aren’t interesting enough to take on that role. 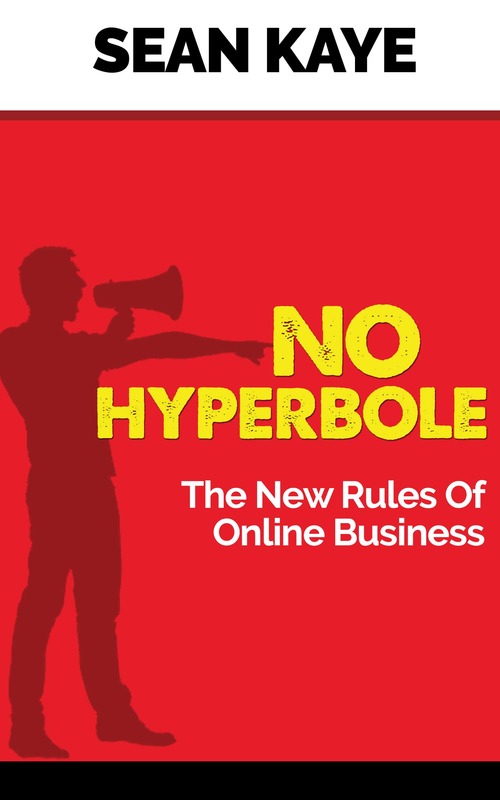 Which ultimately is the big problem with online businesses that revolve around the personality of the principal – if you’re boring or not that entertaining, it’s going to fail spectacularly. You need to have something else – a unique product or a great service offering. With that in hand, you can layer over the top of it some of your personality to compliment it and make the whole offer more enticing. That’s where this kind of thing works best. Those people are outliers and frankly, they’re lucky. They were at the right place at the right time to catch lightning in a bottle. But that’s not a business plan. By all means, when you’ve established your business, try supplementing your marketing with a bit of your personality if you feel you must, but at least have the self-awareness to know if you’re boring or not before you head down that path.